Chocolate shortbread dipped in dark chocolate and sprinkled with toasted hazelnuts. 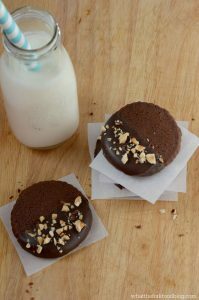 These chocolate hazelnut shortbread cookies have a deep, rich chocolate flavor that just melts in your mouth. I’m going to give you fair warning. These chocolate hazelnut shortbread cookies are not as sweet as they sound. But don’t stop reading because these cookies are downright delicious! 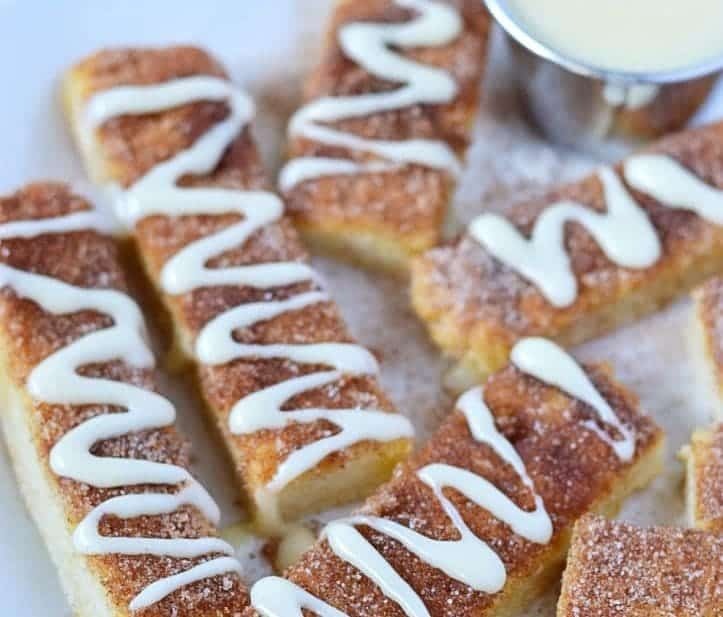 They have just the right amount of sweetness to satisfy your sweet tooth without making you feel like you’ve overdone it. They’ll nip that sweet tooth right in the little tooth bud. 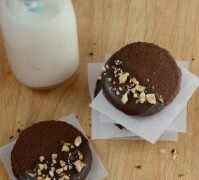 A little bit of work goes into making these chocolate shortbread cookies but that work is well worth the effort. Making the dough is easy-peasy. It just takes a bit of time to chill the dough, roll it out, chill again, bake, cool, dip, cool; eat. So the ‘work’ is more like waiting around before you’re actually able to eat your cookies. Sounds like my kind of work, ha! One of my favorite parts about these cookies is the chocolate dipped part. I mean, really. Who doesn’t love anything chocolate dipped? You could use some melted chocolate chips for dipping but I prefer to use chocolate melts. I just think they melt more smoothly and give you a better end product. Chocolate chips are technically meant to hold their shape at high heat (think chocolate chip cookies) so I find that I often get un-evenly melted chocolate chips if I try to melt them for dipping. The specific chocolate melts I used were the Wilton Dark Candy Cocoa Melts, 12-Ounce package [affiliate link, see my full disclosure here]. I find the dark candy cocoa melts sooo much easier to work with. And see those little bits of chopped nuts? They’re hazelnuts! Or Filberts. I’m totally in love with that cute little nut of a name! If I ever get a cat, or another dog, I’ll name it Filbert. I’m not even kidding. And after what Rocco did to my Blueberry Coffee Cake I’m probably more likely to get a cat. Maybe a fish. I also had a hard time finding hazelnuts in any of stores around me. I ordered mine from Amazon. These Raw Oregon Hazelnuts / Filberts (1 Pound Bag) from Sincerely Nuts are the ones I got. 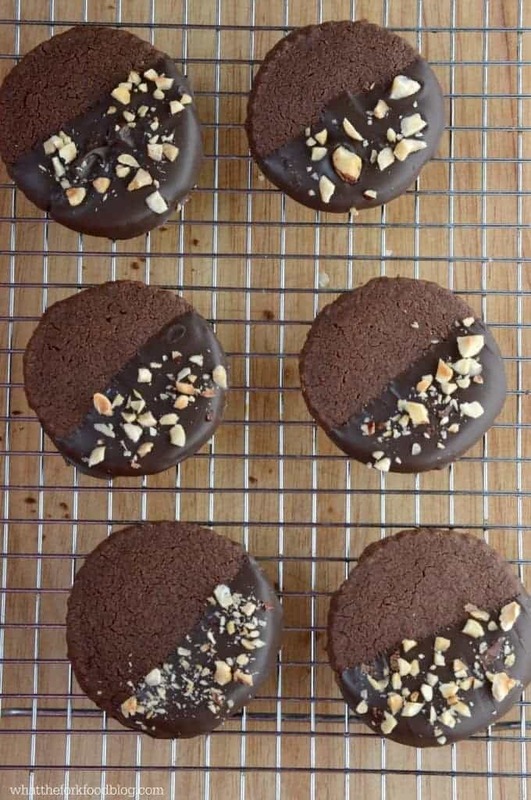 Now go ahead and enjoy the decadence of these chocolate hazelnut shortbread cookies. One cookie will make you feel like you’ve indulged without overindulging. Enjoy! In a medium bowl, sift together flour, xanthan gum, cocoa powder, powdered sugar and salt. Whisk to combine. In the bowl of a stand mixer fitted with the paddle, cream the butter until light in color and fluffy. Slowly add the dry ingredients to the butter and mix until combined. Form dough into a disk and wrap with plastic wrap. Refrigerate 1 hour. While the dough is chilling, toast the hazelnuts on a dry baking sheet at 350 degrees for 10-15 minutes. Rub the hot hazelnuts in a clean kitchen towel to remove the skins. Don't worry if you don't get all of the skin off. Chop the hazelnuts and set aside for later. When dough has chilled for one hour, remove from plastic wrap and roll out to desired thickness (about 1//4 in) between 2 pieces of wax paper. Use a 2 inch round cookie cutter (or other shapes if desired) to cut the cookie rounds. Place cookies on parchment lined baking sheets and chill in the refrigerator for 1 hour. Bake the cookies on a baking sheet lined with parchment paper at 350 degrees for 15-17 minutes. Allow cookies to cool on the baking pans for 2 minutes then transfer to a wire rack to cool completely. When cookies are completely cool, melt chocolate according to package directions. Dip half the cookie (or whatever part of the cookie you'd like!) in the chocolate and set on parchment paper. 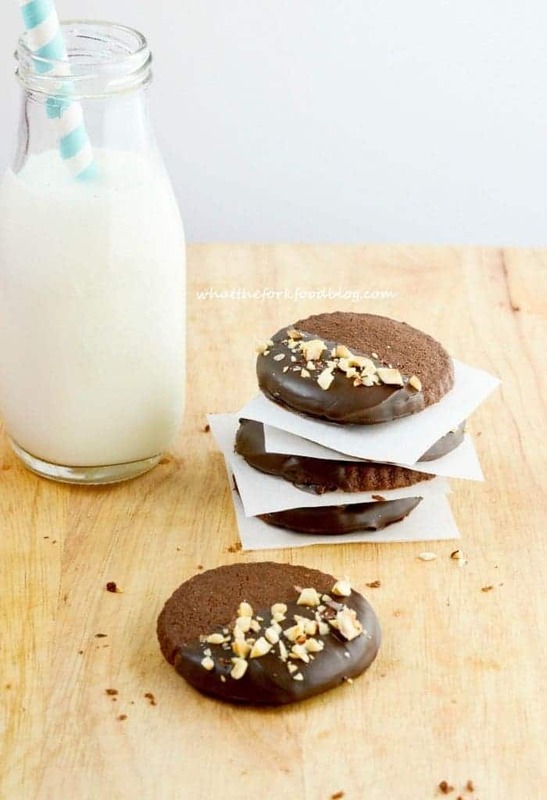 Sprinkle the toasted hazelnuts over the warm chocolate dipped portion of the cookie immediately. Serve when the chocolate is cooled and hardened. I speed up the process by cooling the chocolate dipped cookies in the refrigerator. When rolling the dough, re-roll as needed. I found that placing the dough in the refrigerator for a few minutes helped the dough harden up again and made it easier to roll and cut into shapes. This recipe can also be made with regular all-purpose flour. Use equal amounts of flour and omit the xanthan gum. When following a gluten-free diet, be sure to use gluten-free ingredients. I know the chill time seems excessive but I found that chilling the dough before rolling made it easier to work with because it wasn't too soft and wasn't as sticky. Chilling after rolling and cutting into shapes helped the shortbread keep its shape during baking. I recently discovered it – mind blown! 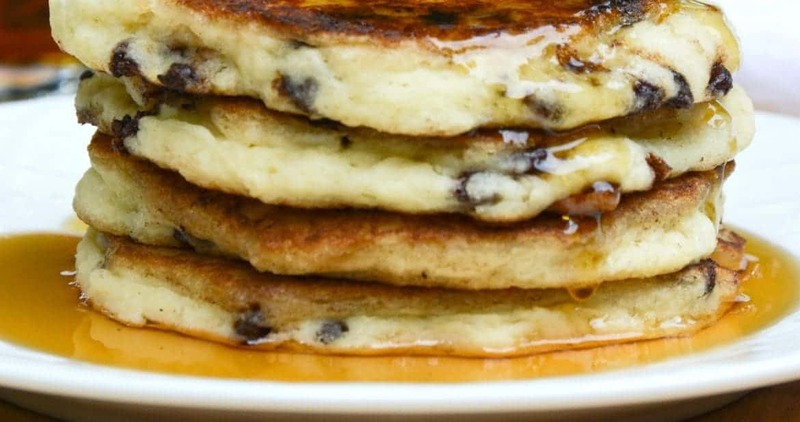 These look store bought and so delicious! Pinning for later! Thanks for stopping by Sandi! Sharon, these look fabulous! I mean, you just can’t go wrong with shortbread, chocolate, and hazelnuts, right? Thanks Amy! And you’re right, you can’t ever go wrong with shortbread, chocolate and hazelnuts! Pinned! I like that you came right out and said they weren’t super sweet – because that’s WHY I pinned. I don’t like cookies that make me feel like I ate a bucket of sugar. I agree, what more could you want than chocolate and nuts? Oh, gluten-free too! What a bonus! These look absolutely delicious! Can’t wait to make them. Thanks for sharing on Gluten Free Fridays. What a great recipe! I’m all for chocolate! Where did you buy your milk bottles? I got them at Michael’s! They’ve got a lot of great glass storage containers right now. What a lovely presentation for your delicious Chocolate Hazelnut Shortbread Cookies! Hope you have a great weekend and thank you so much for sharing with Full Plate Thursday! These look so nice but i dont want to try with the cup measurements as my recipes never seems to turn out right. 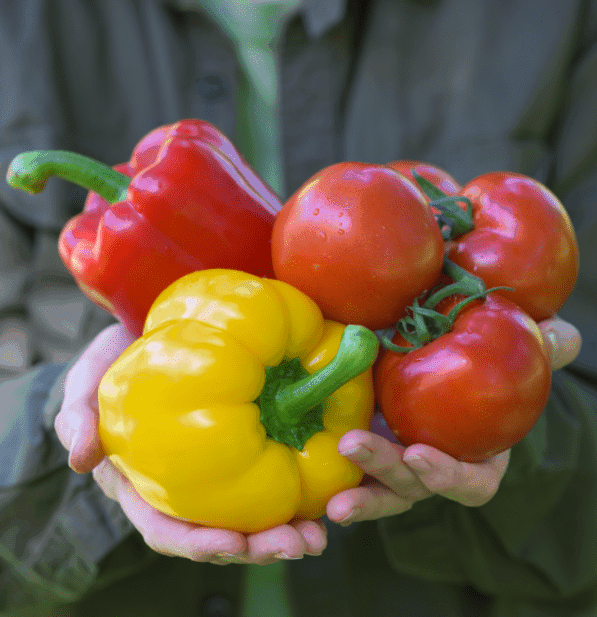 Would you be able to list the ingredients in grams for all of us here in the uk. Hi Kristin, thanks for visiting! I do not have a kitchen scale to give you measurements but try these conversion charts. The first is for gluten-free flours and the second is for other common ingredients. 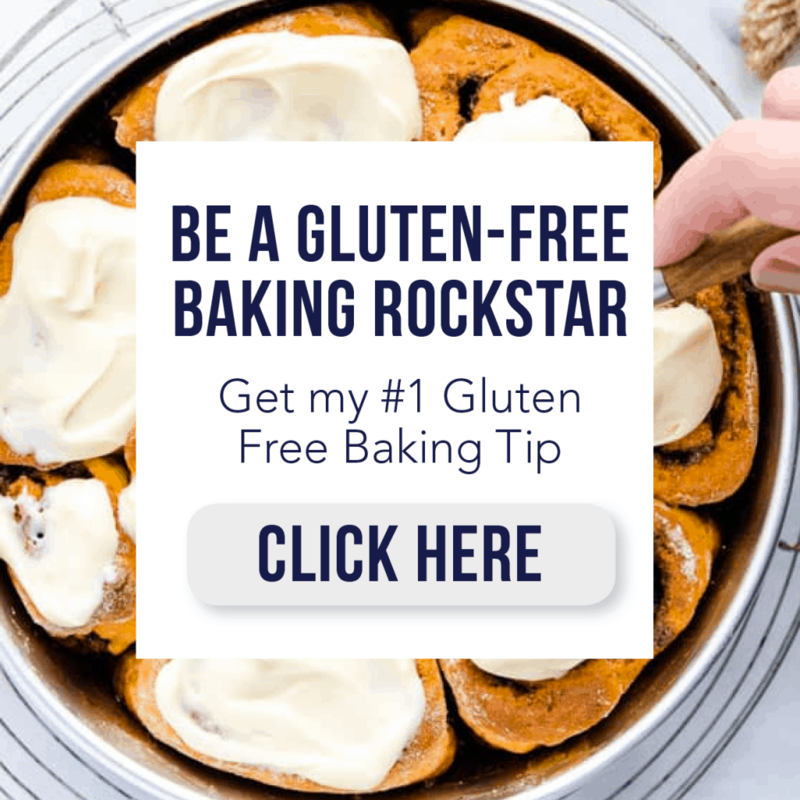 I´m a gluten sensitive and I would like to receive e-mails with new recipes.